Sometimes you find an unusual Zippo and it’s immediately apparent what it is. Sometimes, it takes a little longer to figure out. This one was definitely the latter. What we have here isn’t flashy or elegant. It’s simple and utilitarian. 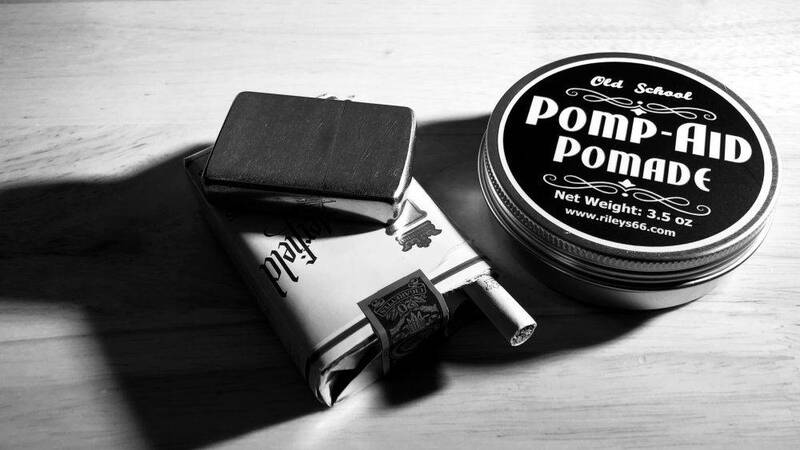 It’s also a significant part of Zippo’s history. 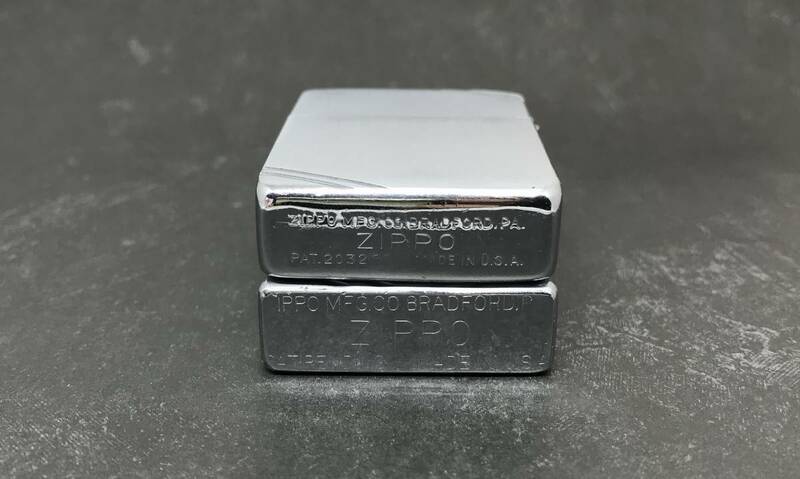 At first glance, you see the familiar lid of a 1930’s Zippo, with no cut corners. Under the lid is the familiar windscreen. That’s pretty much where the familiarity stops. All of the components are unmistakably Zippo, but no one has ever seen them assembled in this way. First we’ll go under the lid. It has a 16 hole piston “insert” with horizontal flint wheel. 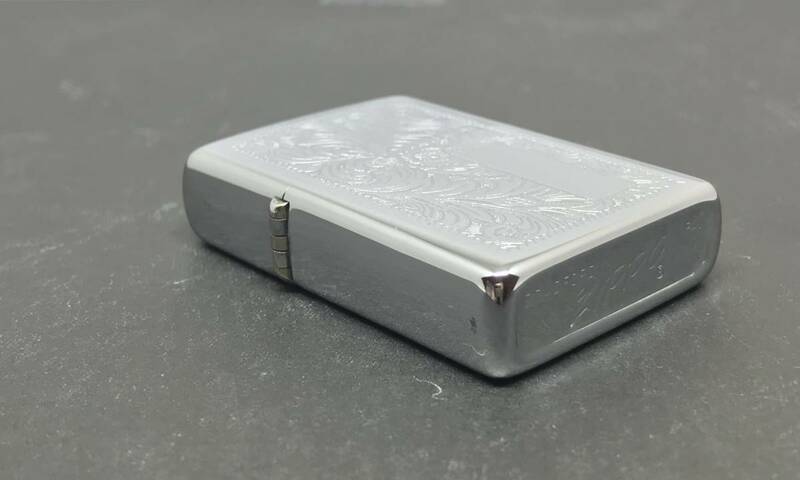 The insert is permanently mounted in the tapered base, and flint and fuel are accessed through the base, which is different from every other known Zippo. Closer inspection of the windscreen shows the cam ears are the tall type only found on the earliest 1933 inserts. You can see in the photos that the ears meet the top of the insert at a 45º angle. The later ears were contoured. The hinge is also intriguing. The hinge is a 3 barrel, mounted on the inside of the lid. But when you look at the hinge plate inside the lid, you can see that it’s actually an outside hinge mounted on the inside. You can see the unmistakable cleat in the center of the top edge, and the hinge barrels are rolled over-the-top, consistent with the earliest Zippo hinges. The outside of the lid has another interesting feature. The edge of the lid is engraved with two lines, presumably to assist opening. The lines are cut at the same width, depth, and spacing as the corner cuts. This detail all but guarantees this was assembled by a Zippo employee. 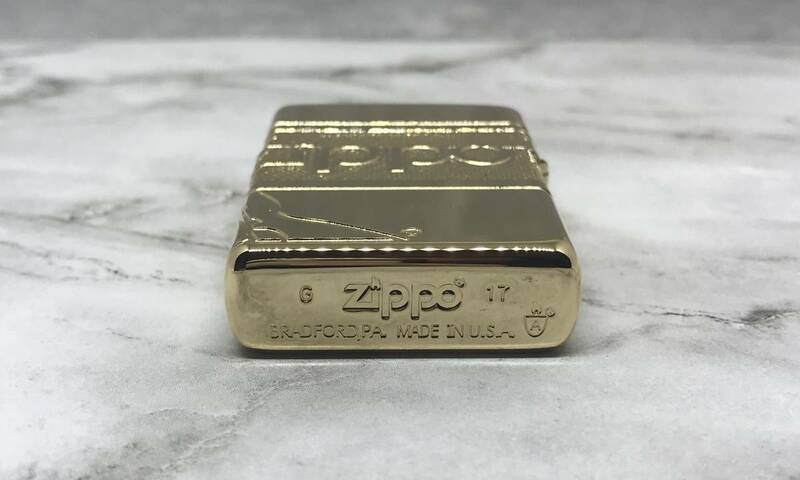 The affixed Zippo logo on the body is a modified Pat. Pending base plate. The flint spring is also the correct early 1930’s length and screw head diameter. When you put all the details together, there’s only one conclusion. This lighter had to have come from Zippo in the 1930’s using all parts from the earliest period of their existence. 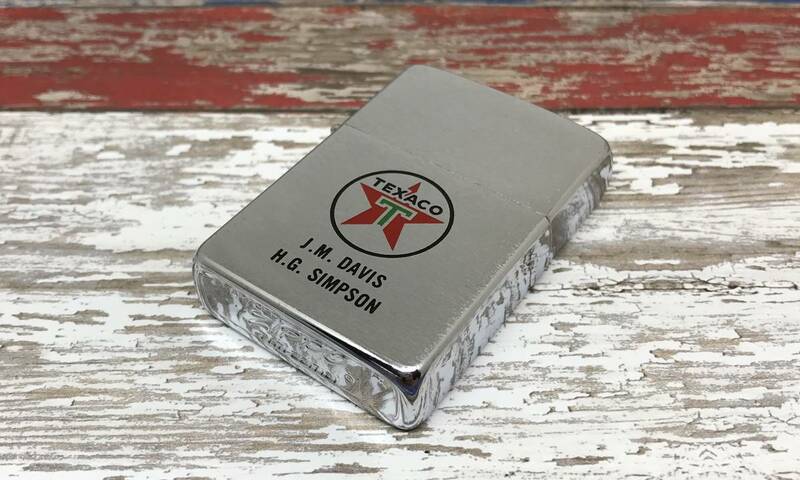 While there are a couple more decorative examples of early desk lighters from the same era, I believe this one captures the simple utilitarian nature of the Zippo and I’m grateful to have it as the centerpiece of my collection. Please visit Rob’s website here!